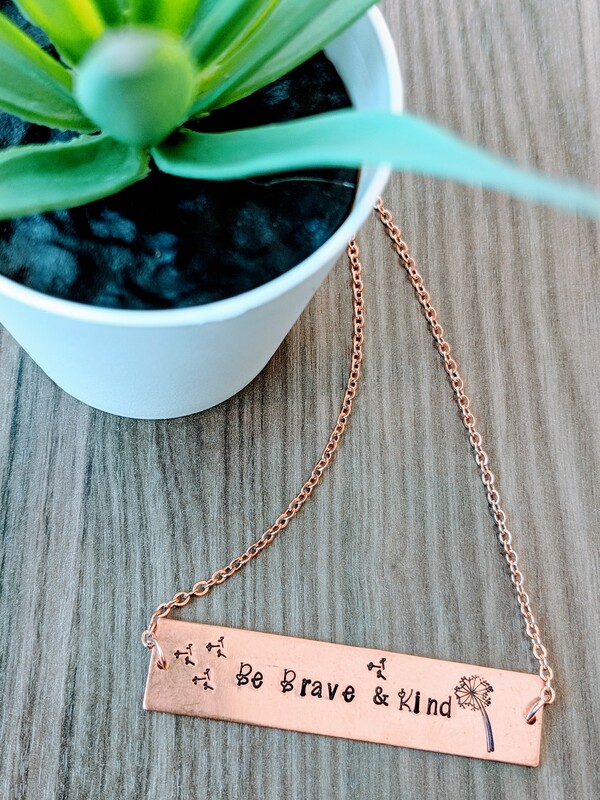 Remind yourself of this personal affirmation everyday by wearing this hand stamped Be Brave & Kind necklace. This inspirational necklace features a wish dandelion. Each stamping is done by hand so each letter or number may have slight variations in depth, alignment, and spacing.